Hey Love: Finds Under $40! Polka Dots! Finds Under $40! Polka Dots! Spring is in the air! 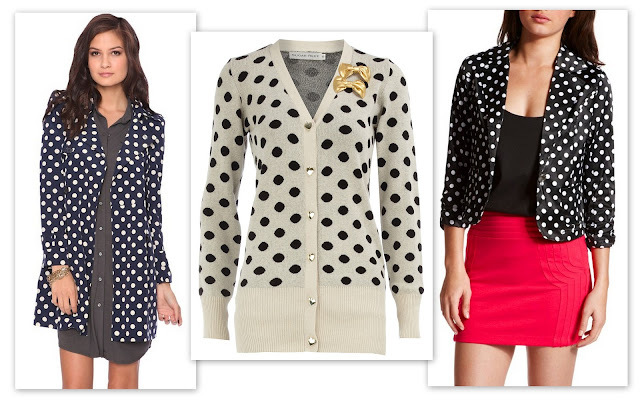 One of my favorite trends of this season is the Polka Dot! It's so fun, cute, and flirty! I'm seeing them all over the place from tops to accessories! Check out my Finds Under $40! There's something here for everyone! *it's a dollar over--but I just had to include it! My faves are the pink peplum dress, the adorable cardi, and the bikini! I can see myself laying out in that baby this summer (after I'm sufficiently tan, of course!)! Which one is your favorite? Love that kind of Posts ,great! Love polka dots! So fun and feminine. love the second blouse and the pink dress!! Great skirts! i like Your blog very much. I'm following! Ooooo, I can't decide which I like the best.. I love polka dots! I think I love the sheer blouse, the blazer, and the shorts the best! Great post! Thank you! I love the polka dot dresses and skirt! Polka dots are my all time favorite! I totally own that shirt from Old Navy and I love those pink polka dot heels! oh wow. thanks for sharing these. I adore the mint polka dot top and those blk/wht shorts - I didn't realize they were shorts until I clicked on the link. i must get these! :) thanks for the ideas darling. BTW lovely post. I love spots!! The more dots I see, the more I love them! Nice post and nice things you chose here! I adore the assymetric, long skirt. It's so cute! Giovanna! You know my heart lol. After bows, Polka Dots are my next fave thing in fashion lol. My favorite is the peplum dress! These a great! I especially love that super cute high-low skirt. Loving the polka dots...that sheer blouse and black polka dot shorts are adorable. 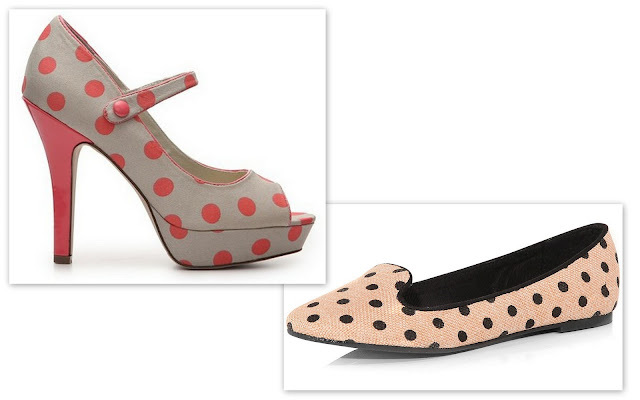 I really love polka dots but I can´t pull them off - feel like Minnie Mouse somehow, haha! these are pretty cool finds! thanks for sharing! the green shirt in the second photo is super cute and the white dress with balck polka dots, to die for!!!! So pretty! Love that black and white dress! I've been looking for polka dot shirts for layering! thank you for sharing :) great blog!! I love every single piece!!! 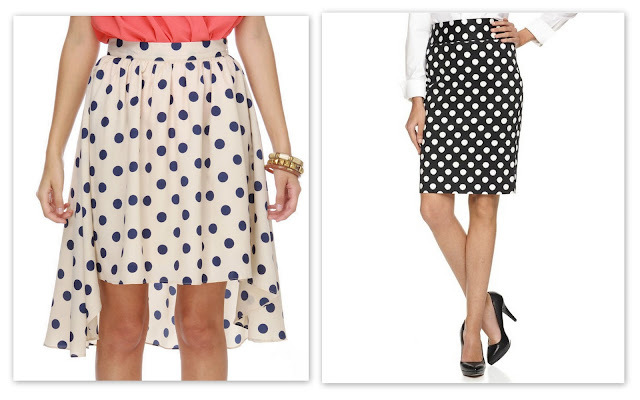 I especially love the black polka dot pencil skirt. I am a new follower! Love the peplum dress and flats!!! polka dots are my favorite... thanks for this adorable post! you know, i really like polka dots. Just ordered a blouse from tobi so i'm excited. 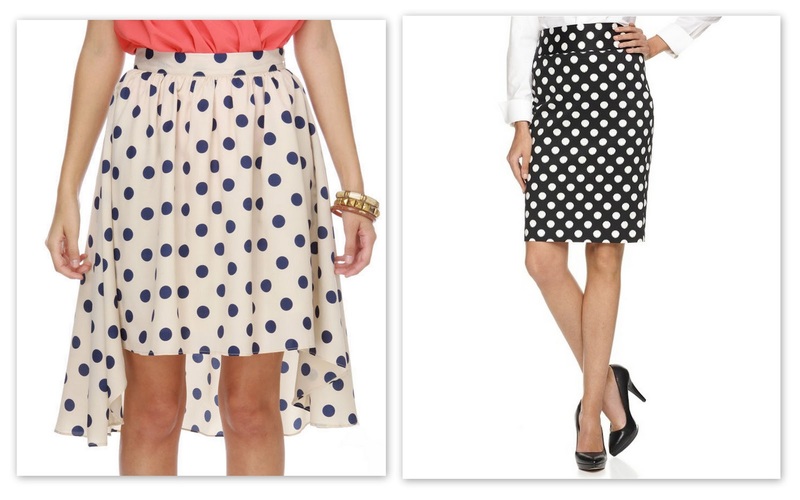 LOVE those two polka dots skirts!! so adorable, I love polka dots! My favorite items are the polka dot shorts :) now following. Polka dots are great, love the skirt! Obsessed with those polka dots shorts! So cute!! I love the polkadot dresses. They're both so much fun! ooo all the polka dots are getting me so excited for summer! Especially those beautiful shoes! :) New follower! ..I love polka dots ! so cute ..
Polka dots are just so fun! I think I made need those last loafers! They would really go great with anything. Those polka dot blouses are too cute! I'm loving your blog girl, I'm your newest follower! I hope you'll follow me back and we can keep in touch. I love discovering new blogs! I love the two dresses and the shorts! all the polka dots this season are great. I have had my eye on that Lulu's skirt for way too long. Love it! Polka dots are so much fun to wear! i love polka dots..can you tell me the brand of the assymetric skirt,and the white-black dress?? thanks..
OMG, I am so addicted to Call Me Maybe! I love the polka dot frenzy! This is not trending yet in Miami but I'd love to be the first to start up the fire. I have to get my hands on the dots lol! Your blog is peaceful and sophisticated hun! Love it...Where exactly did you locate these low budget finds?